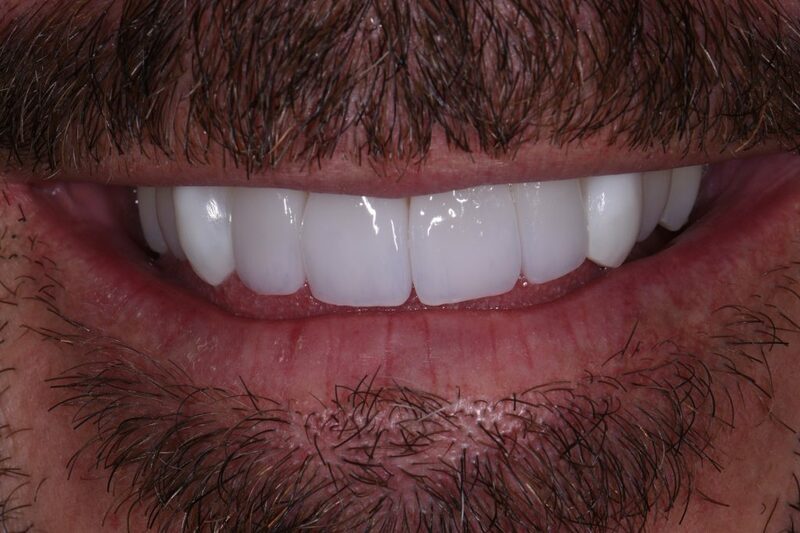 Smile re-design for some recently completed veneers on this 40 year old male’s 12 to 22 “Ghost Teeth” with some ill-matched composite shades on 13 and 23. The pre-operative design featured multiple points to be improved upon including midline cant, distal axial crown inclinations of 21, 22, uneven smile line/incisal edge flow, buccal corridor deficiency, excessively translucent ingot shade for an unknown lithium disilicate on 12 to 22 and the list goes on. While width:height may be overcompensated for in this case seated today, we are waiting for the interdental papillae to bounce back. 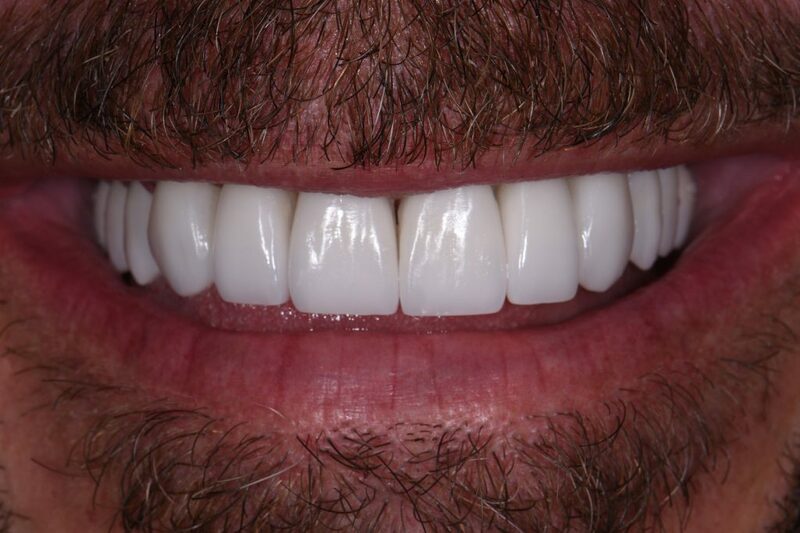 The patient wanted long teeth, prominent teeth with a full smile filling the buccal corridors.